If you're a fan of mobile gaming, you might have noticed the platform has begun to receive a few high-profile ports lately. Battle royale title Player Unknown's Battlegrounds (PUBG) arrived on iOS and Android devices for free on March 20 and dino-hunting title ARK: Survival Evolved is set to arrive on mobile devices sometime this Spring. 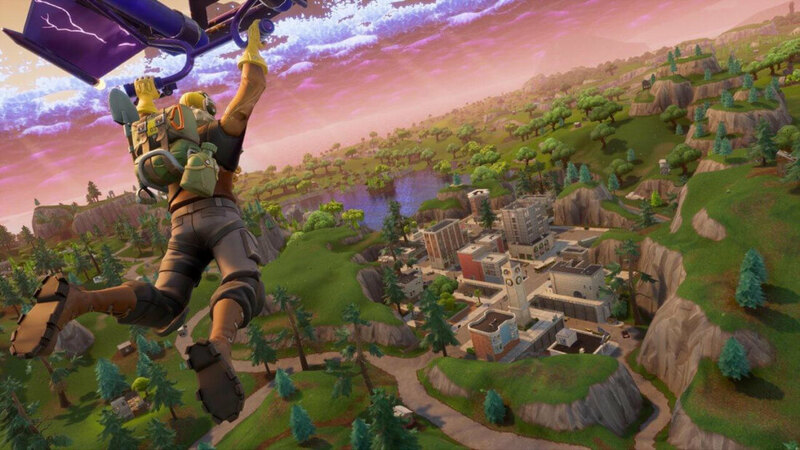 Prior to the release of PUBG on mobile devices, Epic Games announced their decision to bring their own battle royale title, appropriately dubbed "Fortnite Battle Royale," to iOS and Android devices. While Epic didn't give a specific release date for the port at the time, they did say the game would be available on an invite-only basis to select iOS users starting March 12. If you weren't fortunate enough to receive an invite to said closed beta, you're in luck now. Fortnite Battle Royale has officially launched to all iOS users today, though there is an important caveat - if your device is older, it will likely not be compatible with Epic's port. The company cites devices like the iPhone 5S, 6, 6 Plus and other similarly-specced tablets and smartphones as examples of incompatible devices. Additional details regarding device compatibility can be found on the official Fortnite Battle Royale website. Epic has not announced a release date for the game's Android port just yet.